One of Antonia’s favorite times throughout the year is the season of rehearsals leading up to the performance of Kaleidoscope in the Mertz Theatre. 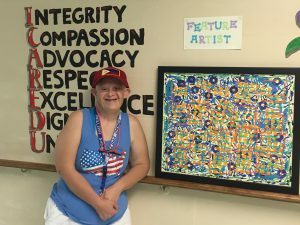 She is a veteran participant in this award-winning Asolo Rep’s Education & Outreach Program in which individuals with disabilities from community organizations discover creative and personal expression through theatre. 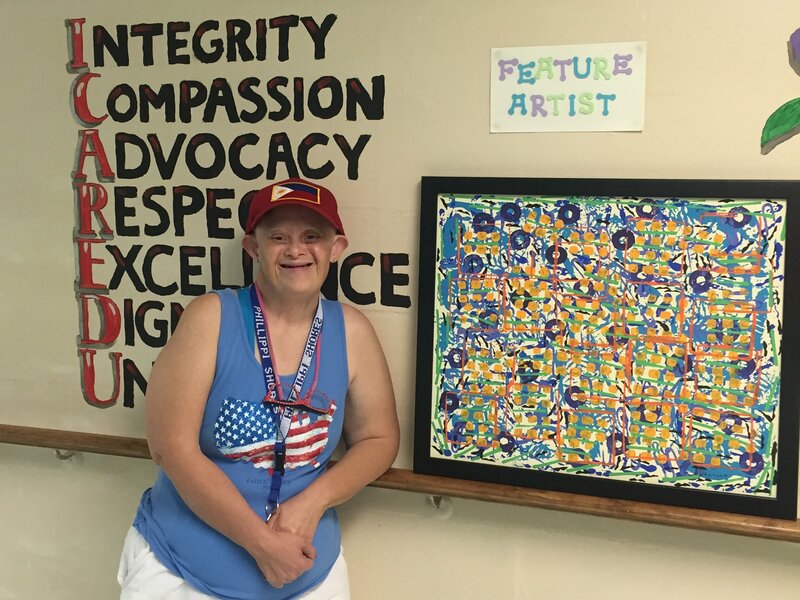 Another outlet of creativity is The Easter Seals Art Initiative. Antonia has sold several pieces of her artwork. In fact, we had a hard time finding one that hasn’t flown off the shelf! Her love of shopping and fashion makes her giddy on payday from her contract work and art sales at Easter Seals. She proudly struts her always-coordinating outfits as she participates in the many center-based activities and outings through Easter Seals. Her beautiful smile is contagious and her warm embraces are shared with all!! Antonia lights up not only the stage but every room she enters— a star was born when she entered this world!